To help protect the WHMCS software code we obfuscate it using a system called Ioncube. Sometimes a misconfiguration in the Ioncube loaders can cause errors. This guide explains how to resolve some of the most common Ioncube related errors. An "Ioncube Required" error is caused by a configuration problem with the Ioncube loaders on your server. They might be outdated or missing entirely. 1. Contact your server admin/hosting provider to ensure that the appropriate version of the Ioncube loaders is installed per the System Requirements. If the "with the ionCube PHP Loader" line is absent, this indicates that the Ioncube loaders are not available for this user. If the "with the ionCube PHP Loader" line reports an old version of the Ioncube loaders, this indicates the system requirements are not met. 4. Please work with your hosting provider or server administrator to ensure that the required version of the Ioncube loaders are installed and available to the cron job user. Replace /home/username/public_html/whmcs/ with the actual path of your WHMCS installation. Fatal error: The file /path/to/whmcs/filename.php was encoded by the ionCube Encoder for PHP 5.3 and cannot run under PHP 7.0. 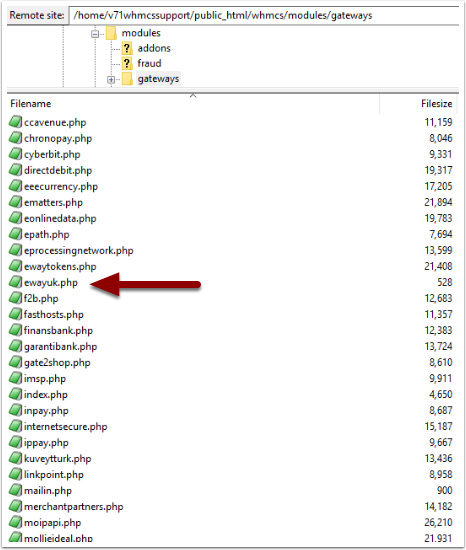 A PHP version encoding error is caused by outdated files designed for a previous version of the WHMCS software (pre-7.0). 1. It will typically manifest as a blank or partially formatted page. So begin by enabling the Display Errors option. N.B. 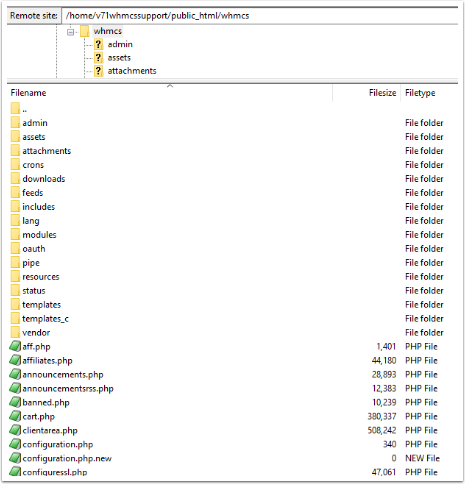 The path and filename will vary. 3. Connect to the server with your preferred FTP client. 6. Reload the page again. 7. You may encounter the same error relating to a different file, repeat the process for each file until the page loads correctly.